On 23 April 2017, eleven presidential candidates presented themselves for election to 47 million eligible French voters. The results carry a great importance for both France and the whole of Europe. At the run-off on 7 May, for the first time in the history of the Fifth Republic, no candidate of the two biggest parties will be represented. 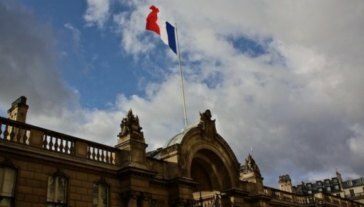 The candidates in the run-off on entering the Elysée palace are those who had previously been thought to have the best prospects: Marine Le Pen, party head of the right-wing extremist and anti-European Front National (FN), and Emmanuel Macron, progressive-liberal highflier, former economics minister and founder of the non-partisan movement En Marche! (Forward!). For the FN, which up until now could reach only the run-off once as an outsider in 2002, this year’s election could be the culmination of a continued upwards trend since 2011. Carmen Gerstenmeyer studied European Affairs and Political Science at Sciences Po Paris and Freie Universität Berlin and contributed as a student assistant to the research project „TruLies – The Truth about Lies on Europe“ at the Institut für Europäische Politik e.V. Carmen Gerstenmeyer‘s contribution can be found here.